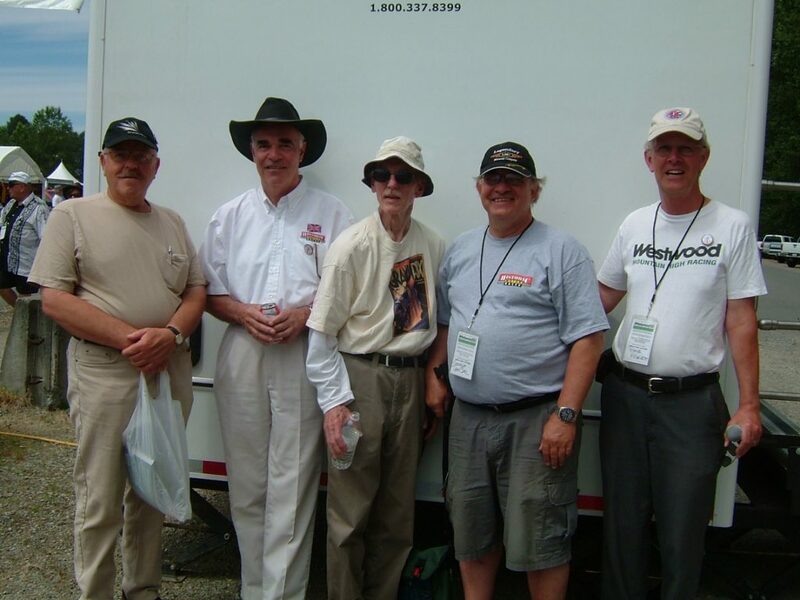 The recent passing of Robin Fairservice, a long-time and notable motorsport enthusiast and worker, was memorialized in the following passage from Peter Weedon, former Pit Pass editor and long-time friend of Robin. On Dec 11th 2017, the world became a slightly less inspiring place for me. Robin Fairservice (Oct 28, 1935 – Dec 11, 2017) was a gentleman in every sense of the word – he was a man of distinction and tremendous integrity, and for anyone that had dealings with him, he was Fairservice by name, and fair-service by nature. I always felt in the presence of greatness whenever I shared a moment with Robin – name the topic and inevitably he had an enlightened and valuable observation to make. His mind was ever clear, ever active, remaining astute and lucid right up to and including the very last time I spoke with him in his 82nd year. And yet, with all these credentials of pre-eminence, he was a very humble man, which merely added to his considerable stature. Born and educated in England, his professional career was that of a civil engineer, and after a solid foundation with various authorities in London and other parts of England specialising in Water Supply & Sewage, Robin was indoctrinated as a fellow into the Institute of Civil Engineers. This carried him around the world on various projects and junkets, doing work for the authorities in places such as Mombasa, Nairobi, Khartoum, Ceylon and Cambodia. 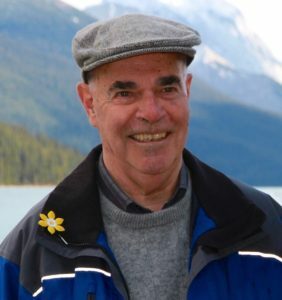 He came to Vancouver in 1974, eventually working for the Provincial Government and being called many times as a expert witness for civil court cases. He spent his final years as a professional engineer in Prince George where the City frequently called on his experience and expertise to guide them through difficult or unusual circumstances and challenges. The man was impeccable, and it was evident to anyone that crossed his path. One passion we shared with relish was motor cars and motor-racing. My personal love of automobiles and experience with the racing world goes back many decades and includes an appreciation of the greats in the sport, including the cars, the participants and notable moments of brilliance in the sport, but my experience and knowledge pales in comparison to that of Robin’s, who was au fait with often the smallest of details. Robin’s first car was a 1931 Austin 7, which he sold in 1960 for £20 and moved into a 1960 Mini. 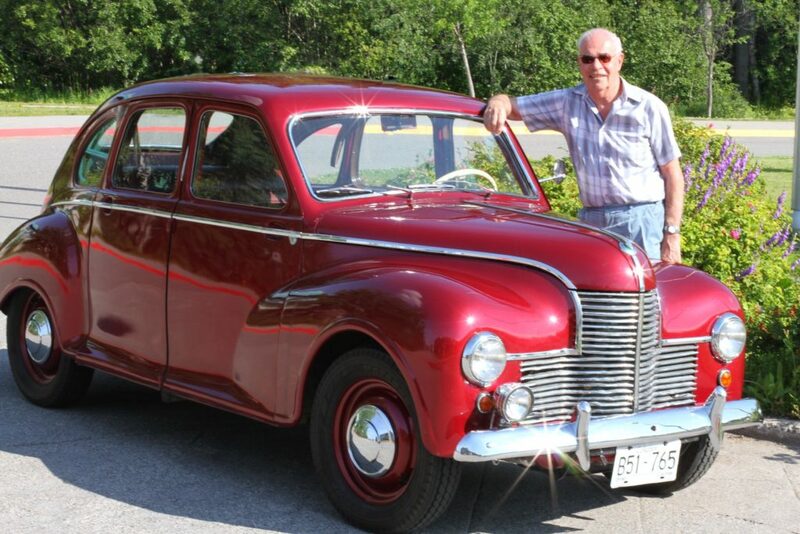 Very likely, his favourite car was his treasured 1950 Jowett Javelin which he restored to its original beauty after it arrived from Penticton on the back of a truck, with the engine in the boot in pieces and the interior a ruin from years of heat. He occasionally slalom’d his 1980 Corvette and also took driver training in 1994 in one of PorFormance’s Toyota Corolla’s. Robin and I both grew up in a world when life was a lot more relaxed than it is today, a time before security and red tape lined our lives. Often, without being questioned, one could mosey into situations, places and locations almost at will, encountering folks in a more casual, less pretentious setting, and Robin was in the right place at the right time to take full advantage of that. His path in motor-racing mostly followed a volunteer role as opposed to that of the occasional driver, but none the less, equally impressive. It all began following the War as famous tracks such as the Crystal Palace (since 1899) and Brands Hatch (since 1926) flashed back into life once again with the sounds of motor-racing. Being somewhat of a kid at the beginning and not allowed to Marshall or perform other official volunteer duties, he took on the role of a ‘go-for’. This may have been somewhat disappointing to a young lad at the time, however as it turned out, it was a bit of a god-send. Part of his ‘duties’ included being a runner between race officials and the pits and the paddock, the significance of that being, that over a period of a few years he got to rub shoulders with all the great names in the sport as he relayed verbal and written messages back and forth (two way electronic communications were non-existent of course). For those that know the names, he mixed with the best in the bizz, including Fangio, Colin Chapman, Mike Hawthorn, Peter Collins, John Cooper, Jackie Ickx, Jochen Rindt, Jim Clark, Phil Hill, Brabham, Moss, Andretti and, on and on it goes, all too numerous to mention. Not only could he recall the drivers after all these years, but the cars, make model and their specific history, significant events and dates – this never ceased to amaze and entertain me ! Robin often came across as taking life on the somewhat serious side, but he was certainly not void of frivolity and mischief. I recall his story about one episode when working flags at Brands Hatch. One of the more famous race drivers of the time, and I confess to forgetting exactly which one, got a bit of a wakeup call courtesy of Mr, Fairservice. During the race, Robin came to realise that this particular driver was using him (Robin) as a brake marker. What happened next will illustrate to any race driver why it is always wise to choose a stationary, fixed and reliable object as a brake marker. Lap after lap, inch by inch, Robin slowly worked he way up the track, moving away from the corner. Each lap, the driver got grew bolder, or so he must have thought, pushing his brake point farther and farther beyond Robin, but in reality of course, he was actually braking at the same spot on the track every time. Yes, I think you might have already guessed at what’s coming next – finally, in one fowl swoop, Robin moved all the way back to his original position, and from what I gathered, even a tiny bit closer to that corner. Well, what a surprise for the driver ! He didn’t end up having an off, but his misadventure certain cost him some time, not only on that lap, but some following laps until he finally gained back his rhythm and pace. Robin chuckled to himself over that one, but said nary a word to anyone at the time. As many of you may recall, Robin and I were Co-Editors of the SCCBC Pit Pass for many years until its demise. It was such a pleasure to work with him on that periodical – his wealth of racing knowledge shone through on many occasions, and hopefully, between us we provided some worthwhile information and entertainment for our readers. Those folks involved in Timing & Scoring back in the day will remember Robin’s many hours of dedication over the years, keeping all of us honest and organised. Robin was also a member of M.E.T.A., working most of the Vancouver Molson Indy’s plus he wrote for the VRCBC newsletter Vantage, sharing the wonderful information gathered by his endless research, all of this amassing to make up his very noteworthy contribution to motor sports. Like the many that knew him, I will miss Robin – as I say, Robin’s mind was crisp and clear to the end, but let there be no doubt, few would disagree that he could talk the hind leg off a donkey. A phone call with Robin was often a marathon, and getting him off the phone required a concerted effort, but he did all this in such an endearing way, that even the donkey would have enjoyed it !